One of Jean-Claude Van Damme’s most memorable roles early in his career was his starring turn in the original Kickboxer (1989). Considered a martial arts classic by many fans, Van Damme returns to the franchise for the first time with Kickboxer: Vengeance. He never appeared in Kickboxer’s slew of lesser sequels. A semi-remake of the original, Van Damme now plays the grizzled mentor that must train a younger fighter preparing for a life-or-death grudge match. Fans of the original should find this a pleasing update that actually improves upon the fight sequences. Kickboxer: Vengeance is the most fun I’ve had at the movies this year. Anyone that appreciates mind-blowing martial arts should see this film. Its rock-solid action template and perfect casting work nicely together. Co-star Alain Moussi shows off his athletic prowess in bone-crunching Muay Thai fights, recalling a younger Van Damme in his glory days. The blistering action flick has incredibly impressive fight choreography, aided by David Bautista (Drax in Guardians of the Galaxy) playing an unbeatable Muay Thai master. His superhuman physique adds real weight to Master Tong Po as a character, the ruthless villain. It all adds up to a movie that should please martial arts’ fans a great deal. The story of a grieving brother looking for retribution is simple. Director John Stockwell knows what his audience wants and doesn’t waste any unnecessary screen time getting to the action. In what has to be a movie first, an entire romantic sub-plot is developed within a training montage. Kurt Sloane (Alain Moussi) has always been there as a fight trainer for his older brother, Eric (Darren Shahlavi). 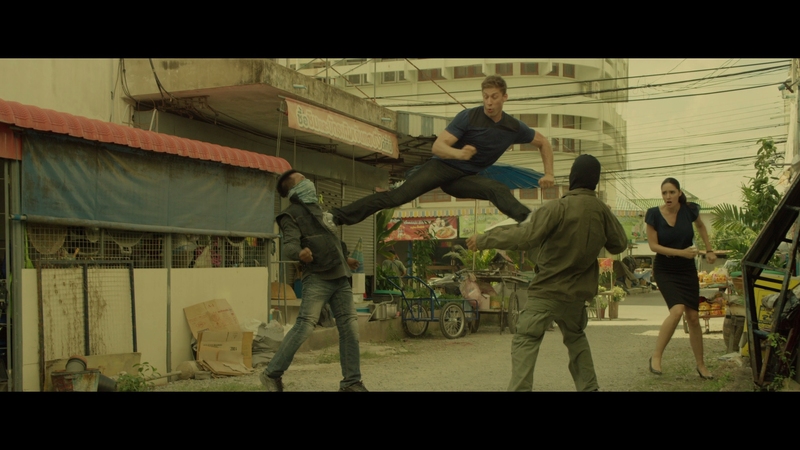 Eric leaves his brother behind when offered a small fortune to fight Tong Po in a no-holds-barred fight in Thailand. Director John Stockwell knows what his audience wants and doesn’t waste any unnecessary screen time getting to the action. Kurt will travel to Thailand looking for revenge when Tong Po kills Eric in a match. Unwilling to murder Tong Po in cold blood, Kurt will end up under the tutelage of Durand (Van Damme) in Thailand. Along the way he’ll flirt with a local policewoman that could double as a model, Liu (Sara Malakul Lane). Kurt’s path is ultimately destined to cross with Tong Po in a deadly fight to the death. Kickboxer: Vengeance has a smooth, economical narrative that doesn’t play games. Its core focus is showing Kurt’s development as a lethal fighter and an array of kinetic fight sequences, some more realistic than others. Kurt’s street battle on top of a herd of elephants may have been a step too far. If you are wondering, Van Damme does get to pull out a few moves. The man is in phenomenal shape for his age. The real stars here are Alain Moussi and David Bautista. If any man could play as the final boss in a videogame, it’s David Bautista. His hulking, ripped frame looks beyond human, making him perfect to play a deadly opponent. The younger Moussi shows superb athleticism in his fight scenes, convincing the audience he might be able to take down the fearsome Tong Po. It’s the classic David versus Goliath story. Featuring five MMA champions from the world of the UFC, including Gina Carano and Georges St-Pierre, the movie knows its intended audience and doesn’t disappoint. Pure action films are often watered-down these days, but not this Van Damme flick. Kickboxer: Vengeance is a perfect reimagining of Kickboxer and it’s great to see Van Damme involved. Real action fans should be highly pleased by this slick, entertaining update. 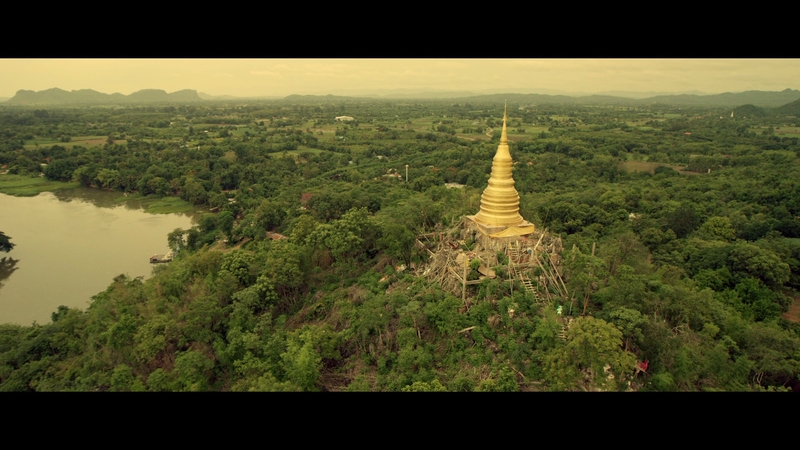 Scenic location photography in Thailand and stunning clarity stand out in this new release from RLJ Entertainment (formerly Image Entertainment). This Kickboxer reboot offers razor-sharp definition with outstanding detail. It receives a perfect digital transfer without technical problems. Filmed with the RED camera, it makes for dramatic HD quality. This is slick, nigh perfect video perfection. Expect superior dimensionality and top-notch eye candy. The 90-minute main feature is encoded in AVC, averaging approximately 22 Mbps on a BD-25. Kickboxer: Vengeance is shown at its intended 2.40:1 aspect ratio in 1080P resolution. The kinetic action sequences and fights are captured in extreme definition. It has bright, punchy video with a fully saturated palette in exteriors. 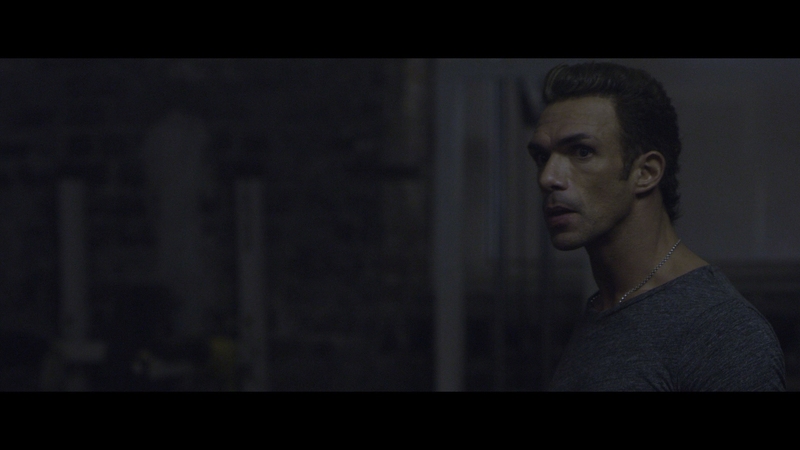 Some restraint is shown in the color grading, leaving a strong contrast with inky black levels. A lossless 5.1 DTS-HD MA track provides an active surround mix that immerses listeners in the fight action. Every bone-jarring impact is heard in flawless clarity. This is a whole-field mix that envelopes the listener with a subdued score. Dialogue is adequately placed in the mix, though it is often a secondary consideration to the loud grunts, kicks and punches being landed. 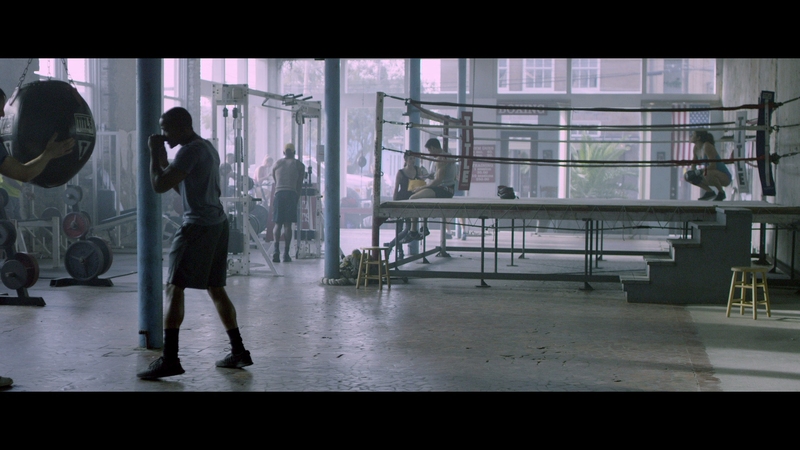 Kickboxer: Vengeance offers solid audio design heard often in high-octane action films. A few Rap songs fill out the soundtrack. Optional English SDH, French and Spanish subtitles display in a white font. They remain inside the scope framing at all times. Permanently animated English subs translate brief snippets of Thai dialogue. Kickboxer: Vengeance does come with a slipcover with embossed lettering. A commentary from Van Damme would have been a very cool bonus. Instead we get a short featurette, though it does include him. The Making of Kickboxer: Vengeance (06:11 in HD) – A breezy behind-the-scenes featurette obviously cut together for promotional purposes. It features several cast members discussing their reaction to the original Kickboxer and the inclusion of UFC champions in this remake. Van Damme returns to Kickboxer in this fantastic reboot of the franchise that sees excellent action from newcomer Alain Moussi. Click on the images below for full-resolution 1080P screenshots taken directly from the Blu-ray. Images have not been altered during the process. Patreon supporters are able to access these screens early, view them as .pngs, and gain access to three exclusives.